Search engine optimization (SEO) is a tactic adopted by digital marketers and is an essential part of any digital marketing strategy. Marketers spend considerable time and effort to improve their website rankings, build backlinks, and get more website traffic using these techniques. The majority of consumers now use mobile devices for online searches, product research, and product discovery. Due to this, a lot of marketers started focusing on mobile-first optimization strategies and redesigned their websites to be mobile friendly. But that still does not cover mobile apps. Even with a mobile-friendly SEO strategy, marketers miss out on a lot of traffic that they could get through mobile apps. And that’s where app store optimization (ASO) comes into the picture. ASO is a lot like SEO, but for mobile apps. And given that there are 2.1 million apps in Google Play Store alone, it has become essential for marketers to focus on optimizing their apps. Before we get into the ASO vs SEO debate, let’s first understand what ASO is and why it’s important. ASO is the practice of optimizing your app title, description, etc. to ensure that in ranks higher in app store search results. It is similar to SEO in concept, with the key difference being the platform where the search is being conducted. With so many apps in the app stores, there is a lot of competition. So it becomes difficult for apps to stand out or even be visible to a relevant audience. App-store searches drive 65% of total app downloads and are crucial to helping people discover your app. This makes it an important factor to consider if you want to improve your app’s visibility and get more downloads. How are ASO and SEO Similar? The first and biggest similarity between ASO and SEO is that both are intended to get your app or website to rank higher in search results. So conceptually, both are similar, with the difference being that one is for websites and the other for apps. The second similarity is that both involve identifying and using relevant keywords to improve search rankings. Just like a website’s on-page content is optimized for keywords, an app’s title and description are also optimized for keywords. But that is where the similarities between both come to an end. The main differences between these come from the fact that the ranking factors are different and SEO is more complex than ASO. Apart from content and keywords, there are several other factors that affect rankings in both the app stores and search engines. However, the type of factors is almost entirely different in both cases. Overall the number of ranking factors for ASO is much less than that for SEO. 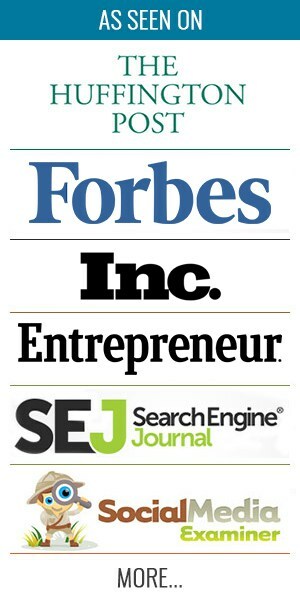 Search engines look at over 200 different ranking factors. But for the app stores, the criteria are not as complex. Also, optimization for app stores focuses a lot more on visual elements like icons, screenshots, etc. because that’s what attracts people to download an app. The same is not the case with search engines, which consider factors like backlinks, keywords, and the quality of content to be much more important. The user behavior and search intent are different for search engine searches and app-store searches. When people search for something on a search engine it can be for anything from finding a store to seeking information about anything under the sun. When the same user searches in an app store, their intent is to find an app that solves a specific purpose. So, even with the same keyword, the search intent for both the platforms will be different. 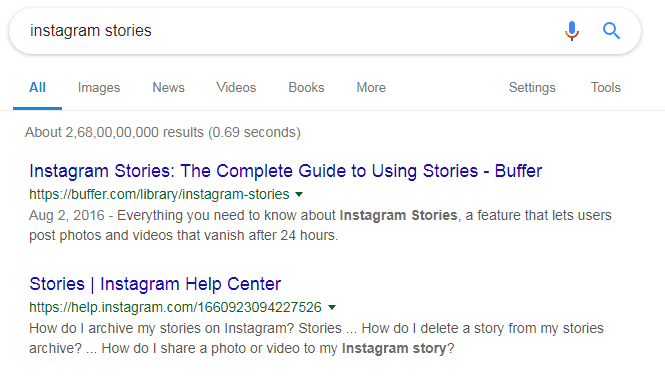 For example, let’s take the keyword “Instagram Stories.” For search engine searches, the keyword would probably be used to find information on what Instagram Stories are and how to use them. 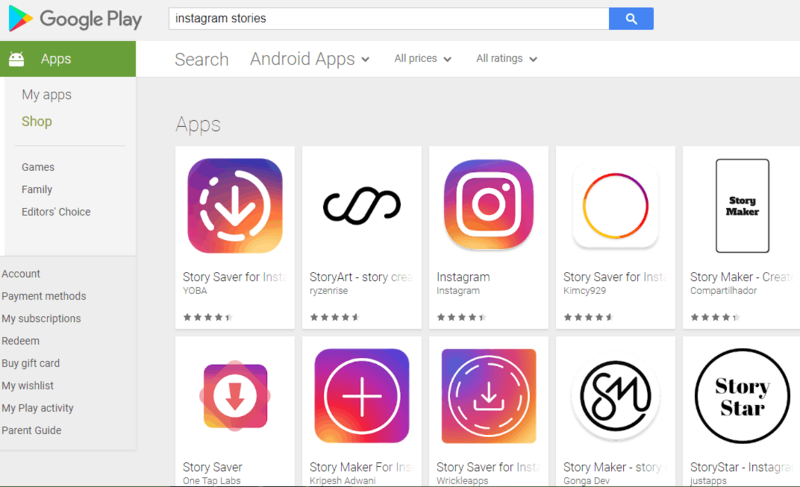 However, the same keyword in app stores would probably be used to find an app that helps make or save Instagram Stories. And because the search intent differs, so does the types of keywords. In an app store, user searches focus more on app features and functionalities. But while doing online searches, users usually type a longer search query seeking information about something. They both are meant for different platforms—one for search engines and one for app stores. ASO is done to improve app rankings in the app stores while SEO is done to improve website rankings in online searches. And as long as there are websites, they will need to be optimized. ASO and SEO work on different algorithms and they are going to remain different for the foreseeable future. 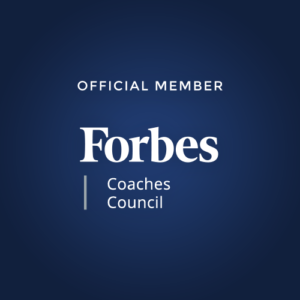 If anything, these should work together as part of an overall digital strategy for any business that has a website and an app. Both of these are not interchangeable as they are meant to optimize different things. App stores and search engines have different ranking criteria and apps and websites need to be optimized differently. Both are essential and both need to be a part of any digital marketing strategy. In fact, these should work together instead of against each other. So, there is no question of one making the other obsolete or redundant. Both solve a different purpose and can’t be interchanged. If you want to know more about how you can optimize your app or website, feel free to get in touch with me here.